”With Joseph Fiennes, Eva Green, Jamie Campbell Bower and Tamsin Egerton in the cast, we’ve got actors who can bring real passion and intensity to their roles,” Starz President and CEO Chris Albrecht said. Joseph Fiennes, who has been cast in the role of Merlin in the ‘Camelot’ series, was most recently seen on the small screen as FBI Agent Mark Benford in the ill-fated ABC series “Flash Forward”. 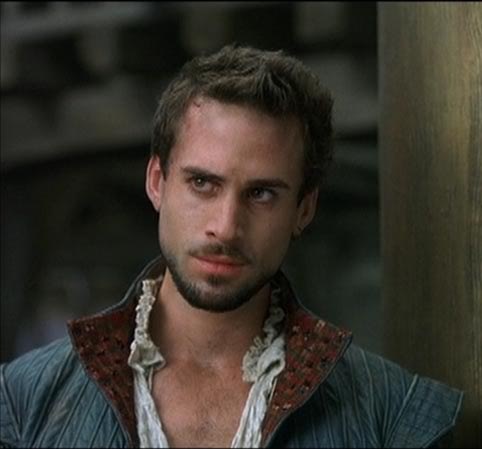 However Fiennes is more well known for his big screen work in the Best Picture Oscar®-winner Shakespeare in Love as Shakespeare and as Robert Dudley in the acclaimed Elizabeth. Eva Green, who is most notably known for her role as the sultry Bond Girl, Vespa in Casino Royale and Quantum of Solace. takes on the pivotal role of the powerful sorceress Morgana. With this role, Green will be delving into her first foray into television. The cast is rounded out by The essential roles of Arthur and Guinevere being played by Jamie Campbell Bower and Tamsin Egerton, respectively. Production on ‘Camelot,which according to Starz will take a fresh approach to telling the Arthur story, is slated to begin later in June with the 10-episode series premiering in the first part of 2011. “Camelot” is a co-production between the Irish production company Octagon and Take 5 Productions in Canada, developed in association with the UK’s Ecosse Films. Camelot will be broadcast on Starz in the US, and on the CBC in Canada, and will distributed internationally by GK.-TV. Previous PostTELEVISION: Royal Pains Returns with HankMed in Financial Trouble!Next PostMOVIES: First Look: Micmacs – Amelie Director Throws in Everything Including the Kitchen Sink!